Here’s what you should avoid when you’re taking care of your plumbing system. The best way to take care of your plumbing system is by knowing what should and shouldn’t go down your drain in your home. You should avoid FOG (fat, oil, and grease), pits, seeds, coffee grounds, and any pulpy substances that can clog your drain. Instead of putting these things down your drain or even garbage disposal, make sure that you throw them in the trash instead. In the case of coffee grounds, if you’re feeling extra eco-friendly, you can even compost these items. Whatever you choose to do just make sure you spare your drain! Do you have your drains cleaned regularly? If you don’t, then you should start now. Your drains have to deal with so much waste and debris in your home throughout the year. They keep your home safe, sound, and clean, so make sure you take care of them. You should have your drains cleaned routinely—the frequency really depends on the particular needs of your home. Contact our team and we can clean your system meticulously and recommend how often you should contact us in the future for these services. A frozen pipe in your home is a big problem and it’s an issue that can quickly lead to a messy pipe burst. If you want to keep your home healthy, safe, and most importantly, dry, make sure that you contact us. You can avoid a pipe freeze by opening the cabinets below your sink on cold days, insulating your pipes, and even by letting a little water drop from the faucet in high-risk areas. If you have problems with your plumbing system, make sure that you contact our team today. We’ve provided amazing plumbing service to residents all over Delaware County for the past 40 years. Throughout our time in business, we’ve taken the time to grow as a business. We pour into our technicians and provide them with the right education, training, and capabilities. We offer a variety of thorough services so make sure that you contact our team. Make sure you’re taking care of your pipes! 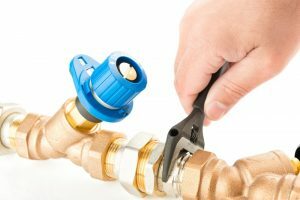 Taking care of your plumbing system is an important act so make sure that you contact a professional team when you need service. If you need plumbing service, contact Murphy’s Plumbing, Heating & Air Conditioning.